I have seen many people mention the website www.everything5pounds.com and have always thought the items can't be that good for that price, can they? Well yes, yes they can! I have recently ordered a few items of clothing and three pairs of boots and I am more than happy with what I have received! You may have guessed already but everything on the website costs £5.00 and delivery varies depending on how many items you buy, I have made several different orders and they use Royal Mail tracked meaning every package I have received have been with me within 3 working days! 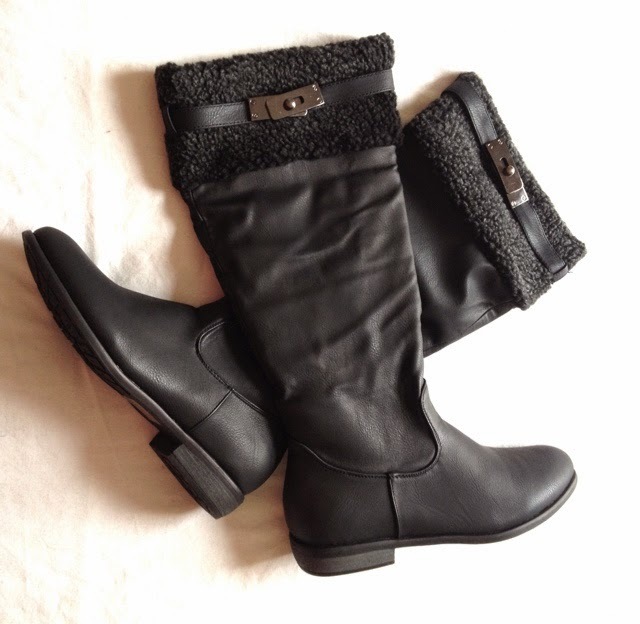 I am in love with these boots, they have a cute sheepskin band around the top and are all fluffy and cosy inside, the quality seems great for the price and they are extremely comfortable and look great with a pair of skinny jeans or tights! 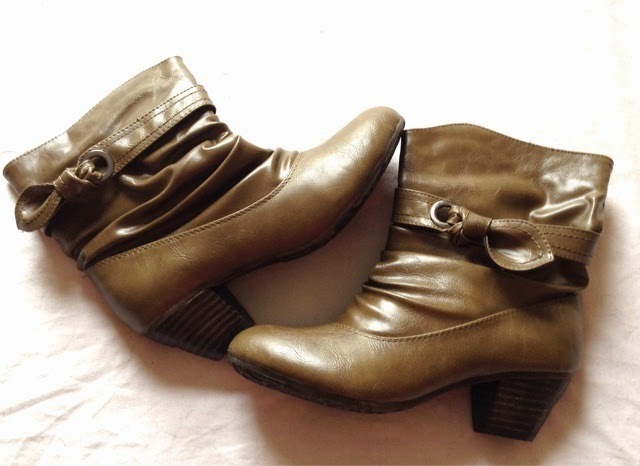 I always usually buy black or brown boots but I thought I would be adventurous (well, for me anyway) and grab these suede effect green wedge heel boots, I have a very similar pair from Primark in black and the rubber heel makes them extremely comfortable to walk in. These are a dirty green shade that just slip on over jeans or tights and are again really comfy to walk in. I am so pleased with my picks and I will definitely be using the website again! I will do a post of what clothes I bought also but I am waiting for another delivery...oopppps, I think I'm hooked! The website updates daily but the new releases get snapped up extremely quickly so if you like something, get in there fast! Have you ever used E5P? I was skeptical hun but honestly I am so pleased with everything I have received so far!